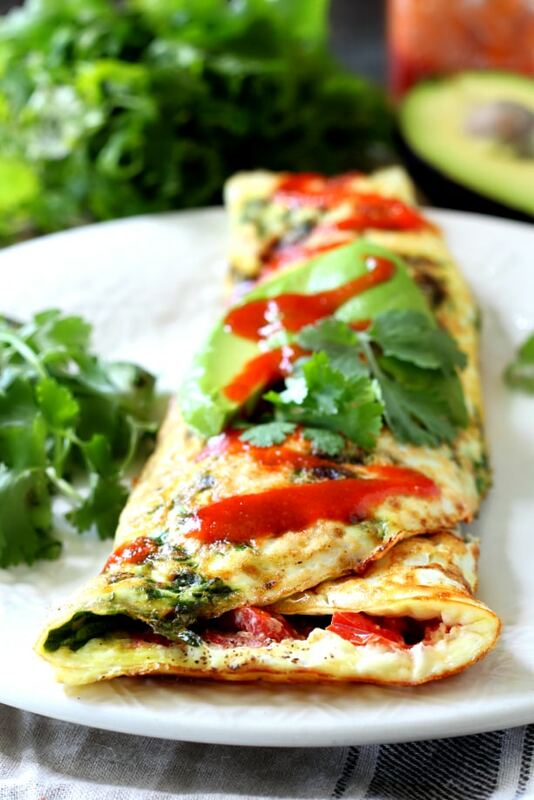 Uber healthy, totally delicious and probably the easiest thing you’ll ever make in your kitchen, this Skinny Egg White Omelet with spinach and tomato is where it’s at if you’re looking to get lean. 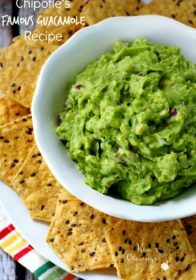 It’s my go-to breakfast, snack, lunch and even dinner when I’m looking to dial in my nutrition and stay on the clean-eating track. This is something I make almost every morning and absolutely love. 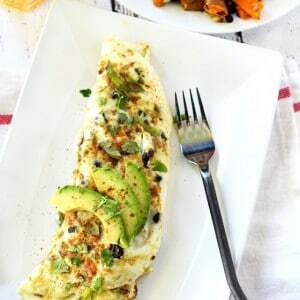 Best part is, this entire omelet is only 167 calories, not even 1 gram of fat and just 7 grams of carbs. That’s some pretty impressive stats! I don’t add cheese or an actual egg, but feel free to play with the ingredients. 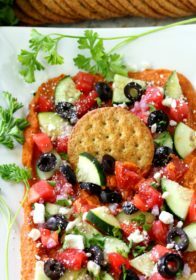 You could throw in a sprinkling of cheese or use 1 whole egg whisked with about 1/2 to 3/4 cup egg whites. Also, feel free to use your favorite veggies. I always have spinach and tomato on-hand, so that’s what I use. Sometimes I also add fresh basil, sliced mushrooms, diced bell pepper and/or sliced olives. 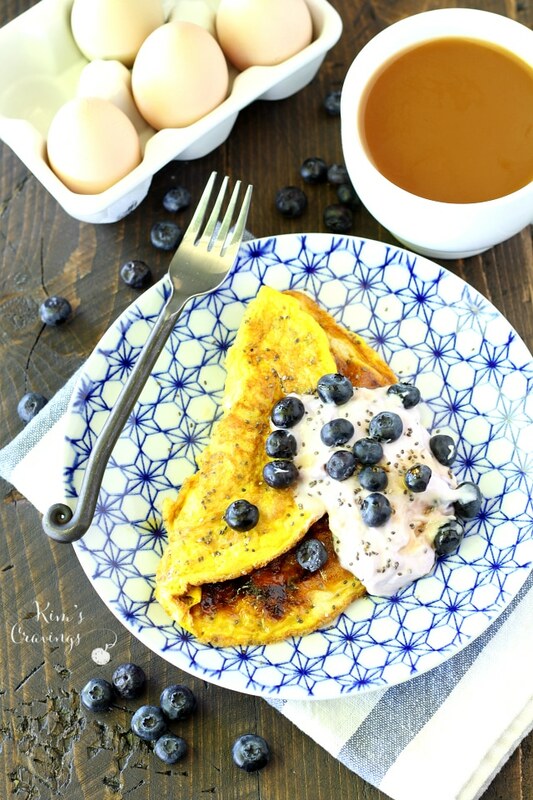 An easy clean breakfast that is filling, delicious and perfect to start your morning off with! 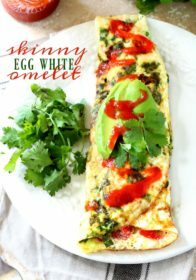 The Skinny Egg White Omelet is a must try. 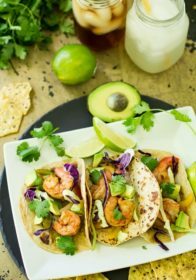 You’ll find that it’s full of flavor and takes just minutes to make. 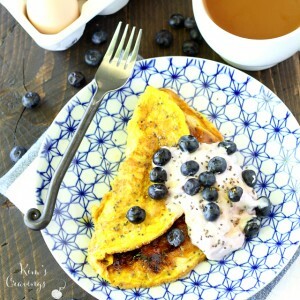 An easy clean breakfast that is filling, delicious and perfect to start your morning off with! 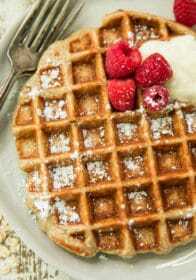 Pour egg whites in a large skillet that has been oiled or sprayed with cooking spray and heated at medium to high heat. Add chopped tomato and spinach evenly over liquid egg whites. Allow eggs to cook until completely set, about 5-8 minutes. 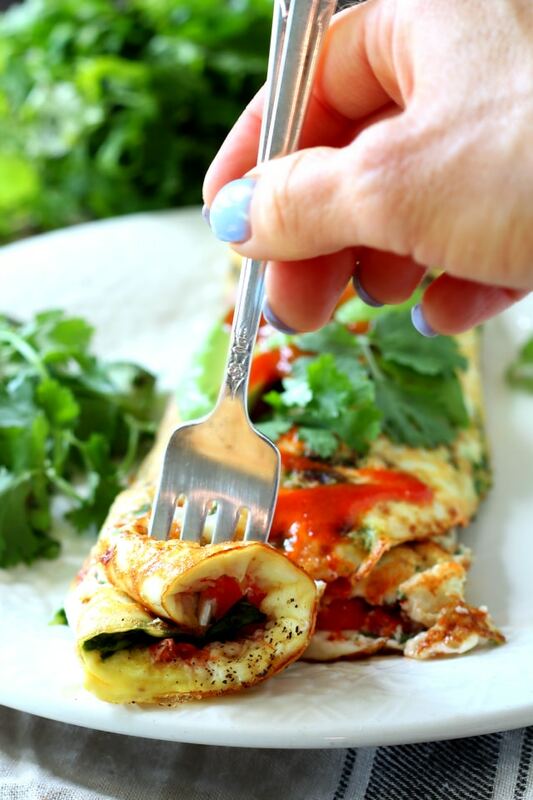 Use large spatula to flip sides of egg whites into an omelet and transfer to a large plate. Top with your favorites and enjoy immediately. *I buy in bulk from Costco. 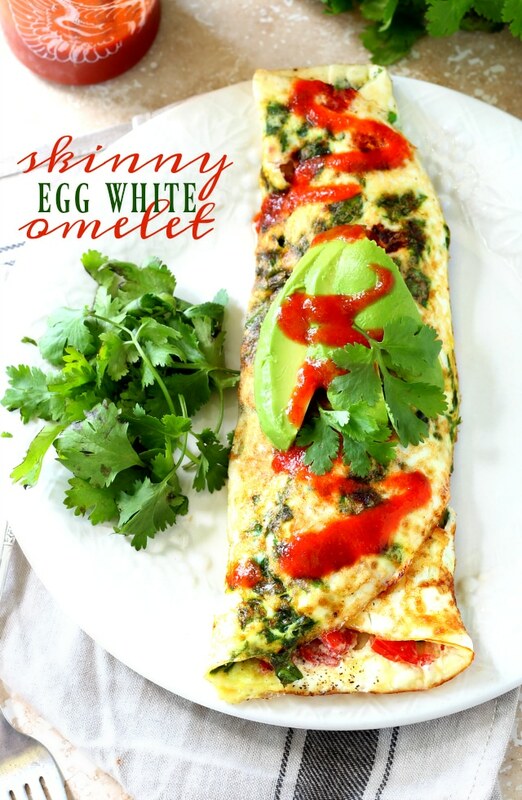 Love this Skinny Egg White Omelet? 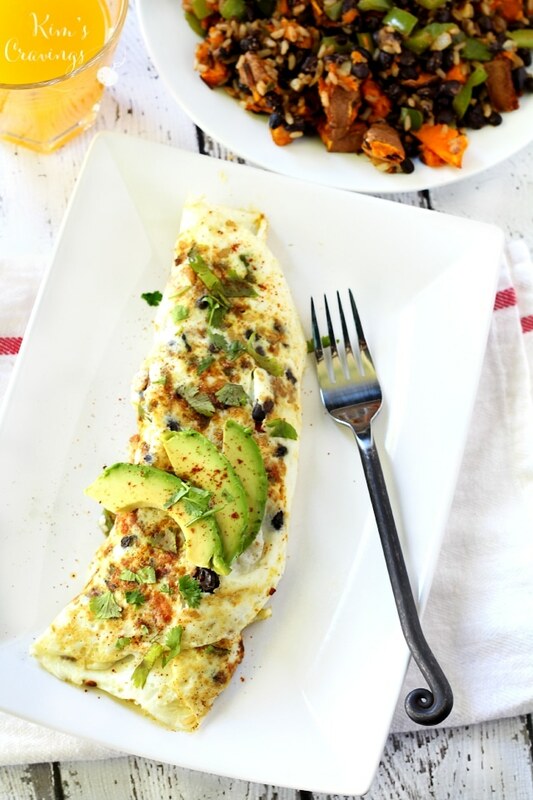 Check out some other favorite omelet recipes! 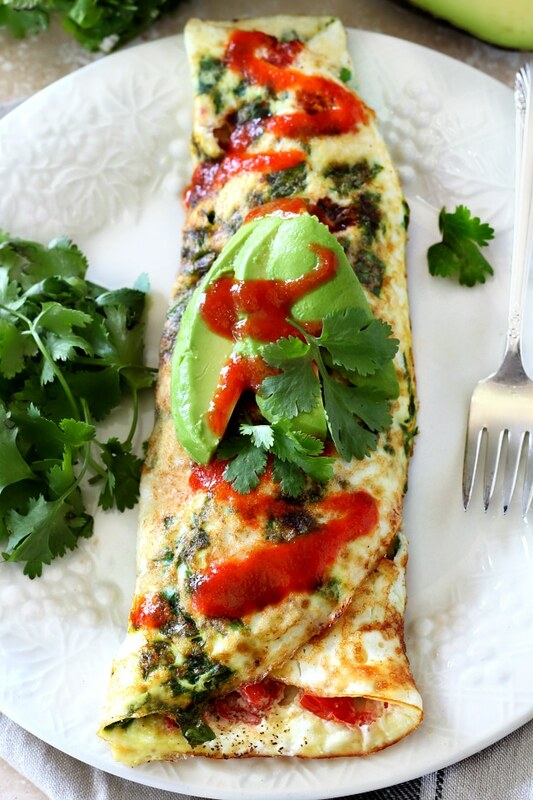 Do you have a favorite type of omelet? 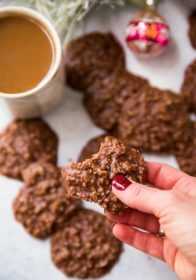 I made this and it is delicious! 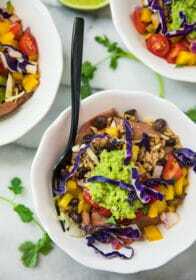 I used fresh red pepper, poblano pepper, red onion, mushroims and tomato. I tossed in a small handful of kale at the end. I love bacon but I don’t miss it at all. Sounds fabulous! So glad you enjoyed!